Groundwood Books publisher Patsy Aldana has acquired Canadian rights to Awago Beach Babies, a new graphic novel by Jillian and Mariko Tamaki, about teenagers in cottage country and a Burger King in Niagara Falls that makes girls pregnant. World rights excluding Canada have gone to New York publisher First Second Books. The deal was arranged by Sam Hiyate at The Rights Factory. 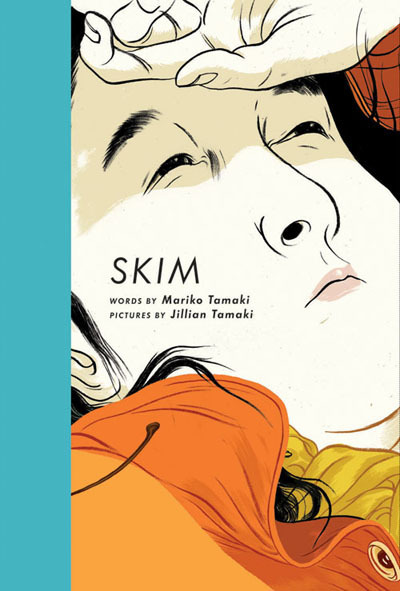 Groundwood also published their previous OGN, the award-nominated/winning SKIM. No details were given for the expected release date of Awago Beach Babies, but we’re all looking forward to reading it, and will be avoiding fast food restaurants for the time being. This entry was posted in Media, Publishers by Kevin A. Boyd. Bookmark the permalink.